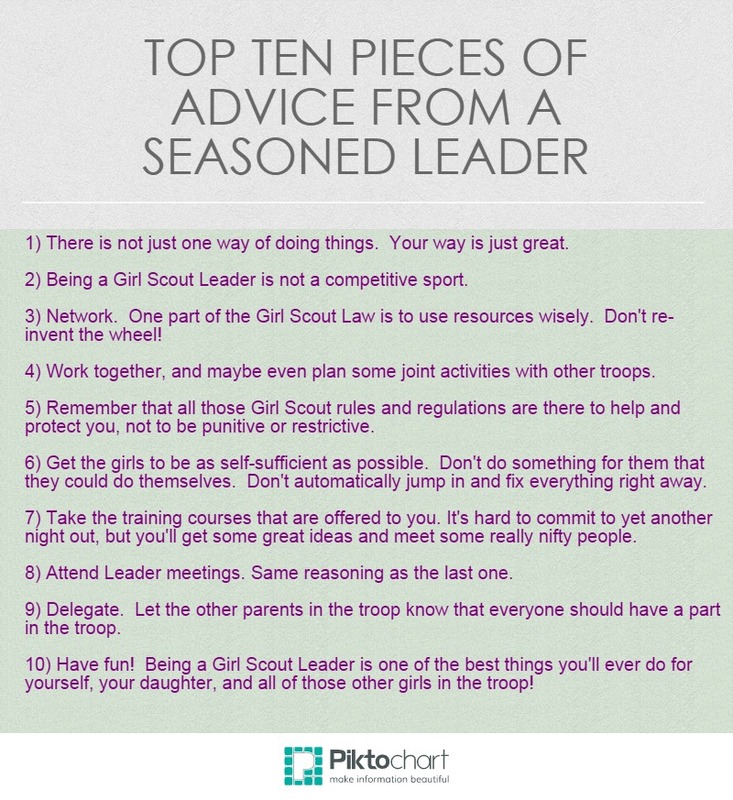 New Girl Scout Leaders and Co Leaders… This one is for you! 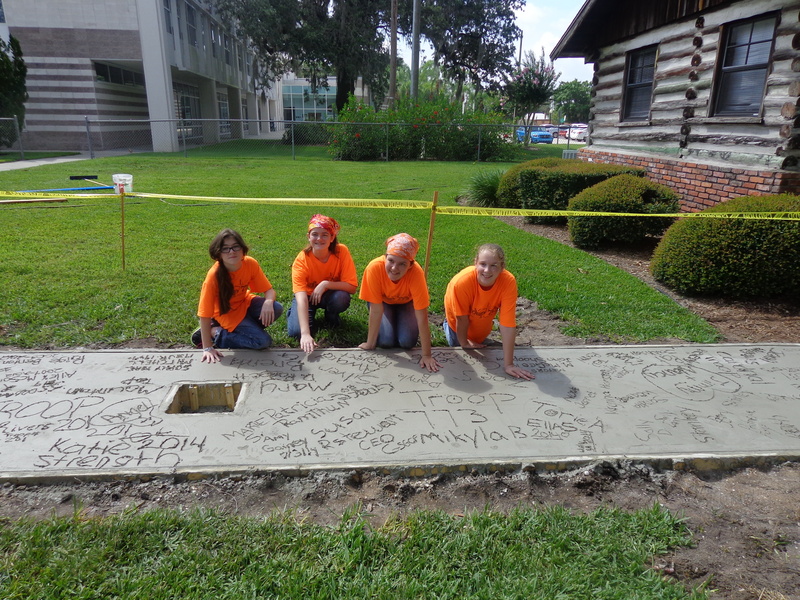 « Girl Scouts of Gulfcoast Florida, Inc.
New Girl Scout Leaders and Co Leaders… This one is for you! New to being a troop leader or co leader? First and foremost, a GREAT BIG THANK YOU from all of Girl Scouts of Gulfcoast Florida, Inc. staff, the GSGCF board, donors, supporters, alumni Girl Scouts, volunteers and parents, and most importantly, GIRLS who are in the Girl Scout program or are soon going to start! Your commitment will show girls they’re capable of more than they ever imagined. Please note, website links and third party sites are recommendations to make information available but does not constitute and endorsement of these sites. Please research information appropriately. Here are some basics, tools, and technology to get you going! √ The most important thing to know is that this a GIRL program! Don’t underestimate girls… they can do it if you let them! Check out this video to learn about the 3 processes and how to incorporate them. 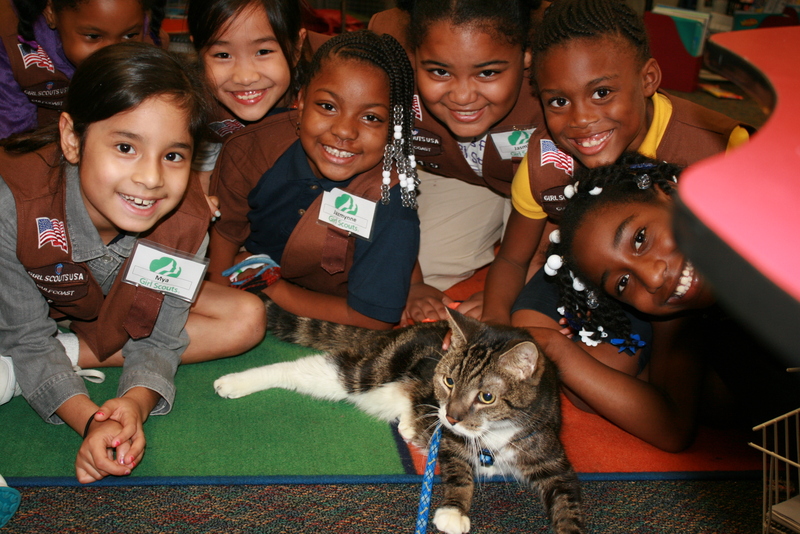 Three Processes of Girl Scouts include learning by doing, cooperative learning, and girl led! 95% of Girl Scout volunteers agree that they make a difference in the lives of girls because they volunteer with Girl Scouts. √ Stay Connected with Parents! Here are a few ways to keep connected (remember, first and foremost safety of the girls! Checkout the Girl Scout Internet Safety pledge). Assign a parent in your troop to manage the communication for your troop! Embrace Technology – it makes it easier on you to communicate! Scout Songs – MP3’s has many songs to make it easy to learn. 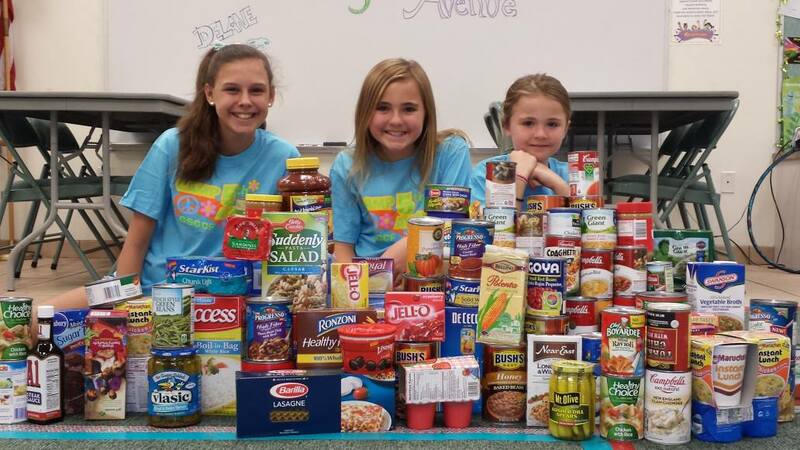 √ What about community service and field trips? For trip ideas, take a look at triptionary of local program ideas, activity finder of council and service unit events, Pinterest Troop Travel board of local and distant opportunities, and GSUSA travel destinations. Talk to other leaders too! Don’t reinvent the wheel! Remember to refer to safety activity check points when traveling with girls. √ Noticing Girl Scouts have a special lingo? 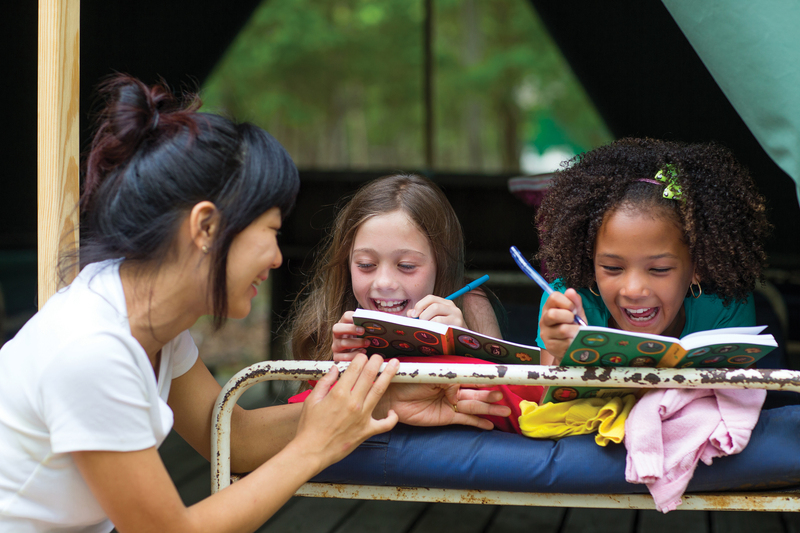 Check out the GSUSA (that is Girl Scouts of United States of America) glossary! 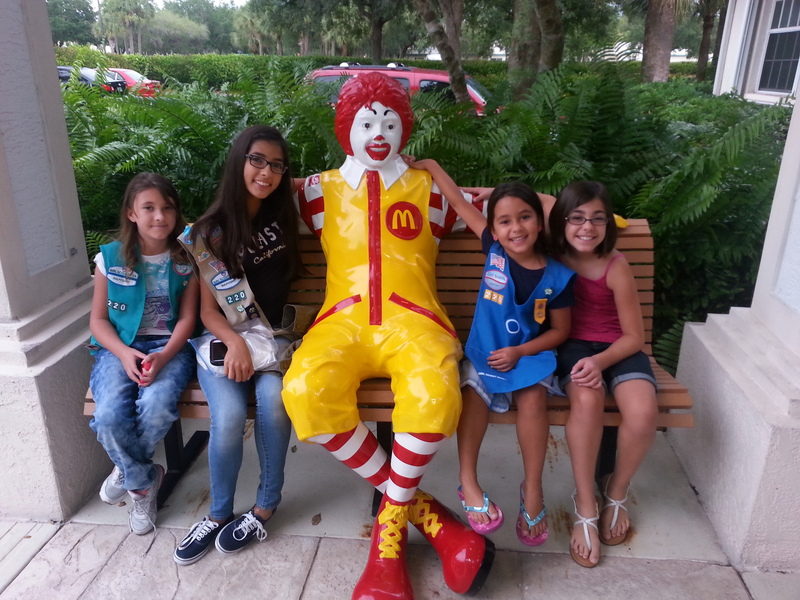 √ Staying connected will give you ideas and help you engage with local Girl Scouts volunteers. The GSGCF website offers so much! Look around for what you need. We also have Instagram, Google+, a YouTube Channel with great videos. Subscribe to this blog to keep you up to date on cool tools like this! Remember, you have volunteers, Service Unit Members and Council Staff who want to help. We can’t help you if you don’t ask. Take a look at our staff contact lists for the appropriate staff member. It might seem like a lot at first, but working with girls can be such a rewarding experience for both you and them. Above all, remember to HAVE FUN! You are doing it RIGHT if girls CAN’T WAIT until the next meeting! This entry was posted in GSGCF Blog and tagged girl scout leader, Girl Scouts, leading a troop, New girl scout leader, starting out leading a troop, troop co leader, troop leader. ← It’s not too late to “Dive in!” to the Fall Product Sale!